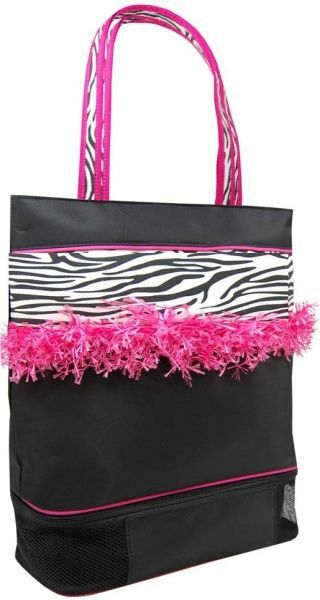 This classy medium tote features zebra print, fringe, and a shoe compartment in the bottom! Blank(no “Dance” embroidered) and ready to personalize with a name or team/studio name. Also available with “Dance” embroidered. Microfiber material wipes clean with a damp cloth. Can be personalized.